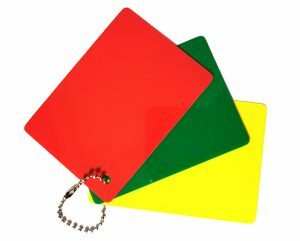 Set of red, yellow and green cards. 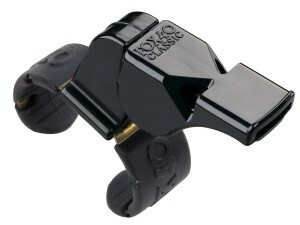 2 1/2″ × 3 1/2″ durable plastic joined with a 4″ silver ball chain. 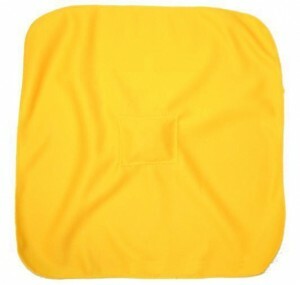 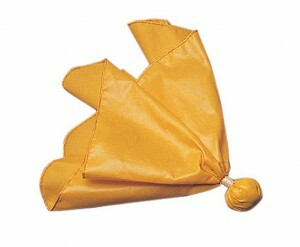 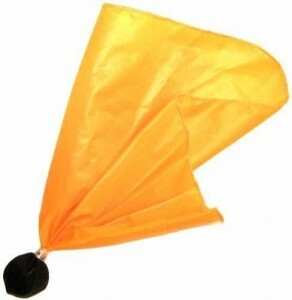 Classic yellow nylon Penalty Flag with weighted ball.